Hardwood Floor Acclimation: When Can You Install? Home » Moisture Meters » Wood Division Knowledge Base » Hardwood Floor Acclimation: When Can You Install? Whether hiring contractors or installing wood flooring themselves, homeowners must consider measuring the wood’s moisture content (MC) as one of many installation concerns. There are many moisture meters for wood which assess both the surface moisture conditions and the MC inside the wood. A wood’s MC is addressed beginning with the kiln drying manufacturing process itself. Each species has different properties, and even within species, there can be variability in drying rates and drying defects. The interactions of wood, water, heat, and stress during the kiln drying process are very complex. Manufacturers use industrial moisture meters for wood to verify a stable MC in the end product prior to delivery. Homeowners (and even some installation professionals) mistakenly assume that the wood flooring’s MC has been resolved once and for all after the kiln drying manufacturing process. Whether installing solid wood floors or engineered flooring, stakeholders must measure the wood’s MC multiple times from the point of flooring delivery. This is when flooring installers must use moisture meters for wood for multiple assessments aimed at preempting or preventing recurrent MC problems in the wood flooring. Moisture is a crucial, life-sustaining component of wood. From the tree, as it stands in a forest to the wood manufactured into flooring, MC is part of every wood cell in all 1600 species. Moisture meters for wood are necessary because wood continues to absorb and release moisture into the air until the wood is in balance with the relative humidity (RH) and temperature of its surrounding environment. When the RH levels rise, wood absorbs moisture and expands; when RH declines, wood releases moisture and shrinks. This process does not end when a tree is cut, and it continues to a certain degree even after the wood flooring is sealed with finishes. Engineered flooring poses distinct wood moisture measurement challenges. Each engineered flooring product can contain several layers of different wood types, each with its own MC characteristics. Put simply, the MC of the medium-density fiberboard core can vary distinctly from its surface hardwood lamella layer. Therefore, it is important to repeatedly assess moisture levels with a wood moisture meter while installing any type of wood floors and beyond. On delivery: Assessors need to measure the wood flooring’s MC upon delivery in order to verify that the MC is within acceptable specifications for installation purposes. 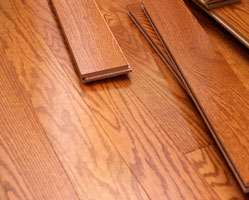 Prior to acclimation: It is important to place the wood flooring in its intended room’s environmental setting before installation for the time specified by the manufacturer. The wood flooring’s MC will acclimate to that environmental setting, so installers should measure the wood flooring’s baseline MC prior to acclimation. After acclimation/prior to installation: This wood moisture meter measurement can likely reveal MC changes in the wood flooring, especially if installing wood floors in air-conditioned settings or during times of significant RH fluctuations, such as during seasonal changes. Once finished installing wood floors: By measuring the MC in the wood flooring after installation, MC reading variances can inform the flooring owner of any extraordinary changes which may require further attention in order to protect the life of the flooring. Long-term moisture measurement helps ensure owners’ investments once the wood flooring is installed. Flooring owners should still conduct periodic moisture measurement checks as almost every wood floor endures some expansion and contraction as humidity levels change due to seasonal variations. MC management includes wood moisture meter measurement during these seasonal changes when overall RH fluctuates in different patterns. While heating, ventilation, and air-conditioning (HVAC) systems control indoor humidity, outdoor RH levels can still influence indoor RH. When homes are heated in the winter months, RH levels can decrease and boards can shrink, and spaces appear between the boards. These spaces usually close up as the season changes and moisture returns to the air. There is no need to fear these fluctuations, but long-term wood flooring strength and performance is assured by periodic MC measurement and management. 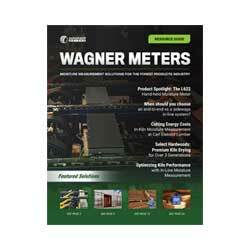 Wagner Meters carries an industry-leading line of moisture meters for wood. With both analog and digital options, Wagner Meters’ wood moisture meters accurately measure the MC in hardwoods, softwoods and even exotic wood species with certain models. 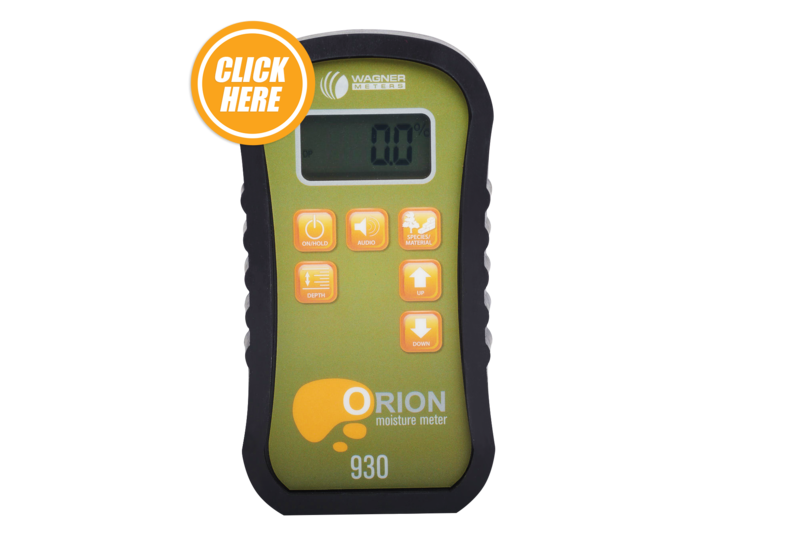 Assessors can use the Orion 930 Dual Depth Wood Moisture Meter for all wood species used for wood flooring and woodworking applications including engineered flooring products and bamboo. For every stage of wood floor installation and use, a wood moisture meter will help you successfully manage the wood’s MC for the life of the floor. We have just accepted delivery of 19 packs of Kempas solid wood flooring. This was a kerbside delivery and in order to carry this very heavy wood into the house we were obliged to open all but one of the packs carry them ourselves. There are no radiators or direct heat sources in the room where they are stored, but should they have remained in the packing until they are laid. ? Next, the National Wood Flooring Association (United States) has good information as well. In short, the wood flooring needs to be properly stacked (see clip of photo, below), and acclimated; notice the spacing between layers to allow proper air flow and wood exposure to your proper environment. If you have any further questions, please feel free to contact us at 800-634-9961, or 541-582-0541.